Over the years, Cincinnati has gained a weird reputation for bathtubs both real and imaginary. Back in 1917, the influential social commenter H. L. Mencken published an essay in which he claimed that the first bathtub in the United States was installed in a Cincinnati home by one Adam Thompson in 1842. Although this was totally “fake news,” it was repeated often over the next century and still pops up as “fact” today. Then there was Big Bill Taft, the Queen City’s favorite son, who allegedly got stuck in the White House bathtub because it was not capacious enough to accommodate his substantial girth. Also not true and also widely repeated. Lesser known today, but far more notorious in its day was the 1883 bath enjoyed by Lillie Langtry at Cincinnati’s Grand Hotel. 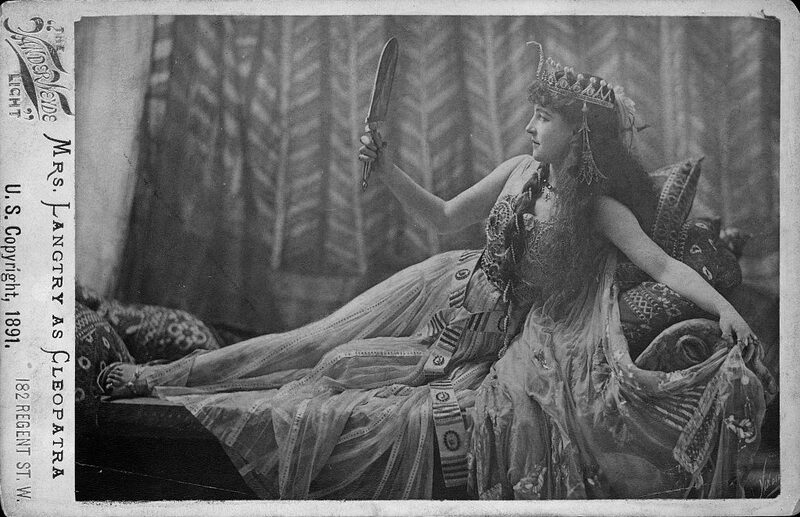 Langtry, known as “The Jersey Lily,” was an English beauty who, as proof that today’s celebrities are not unique, became famous for being famous when she caught the eye of British society. Portraits of her by Edward Burne-Jones, John Everett Millais, Frank Miles, and William Powell Frith entranced the public. She became the mistress of Albert Edward, the Prince of Wales (eventually King Edward VII of England), and of Charles Chetwynd-Talbot, the Earl of Shrewsbury. As the Jersey Lily’s train pulled into town, Cincinnati was in the midst of a significant flood, with the Ohio River cresting at around 66 feet. Mrs. Langtry herself told a reporter for the Commercial Tribune that, while she had heard Cincinnati frequently described as the Paris of America, she thought it more accurately resembled the Venice of America because of all the waterlogged streets. And so, inevitably, the famous British beauty asked her maid to draw a bath. An enterprising marketer for the Apollinaris water company, on learning of this creative use of his product, had a gold plate engraved to designate Room 100 of the Grand Hotel as the “Apollinaris Suite” and that plate hung on the door for the next 50 years. Generations of young men, inspired by visions of Lillie Langtry, sans clothing, immersing her voluptuous body into a tub of sparkling water, kept that room occupied for decades. Apollinaris, advertised as “The Queen of the Table Waters,” is still around and can still be purchased today, but it lost market share throughout the United States during World War I because it flows from a German spring. Perrier, from a French source, became the patriotic alternative. The Grand Hotel closed in 1933, a victim of the new Union Terminal. 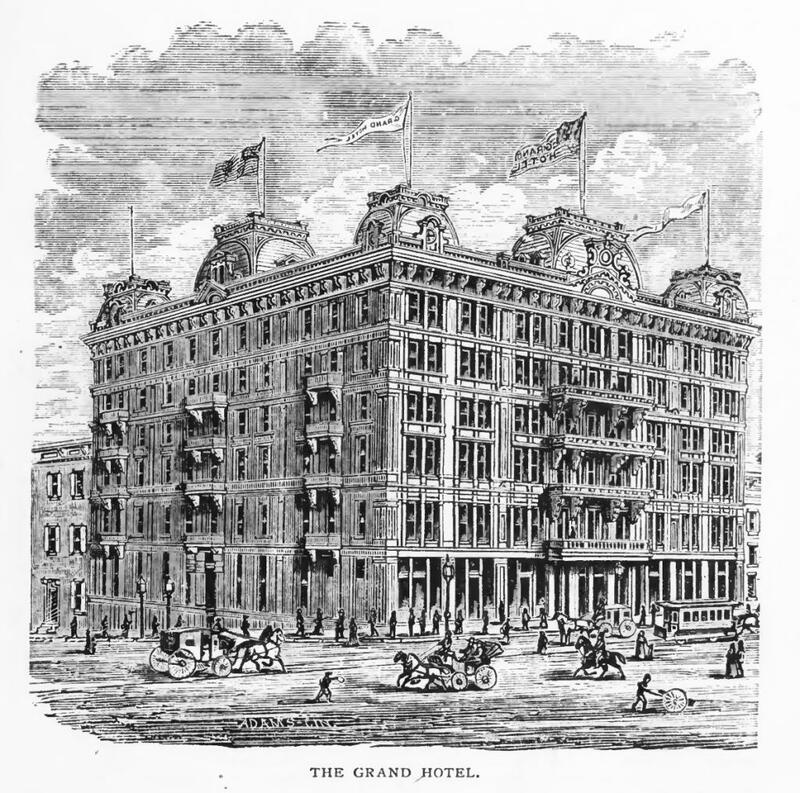 The Grand was located across Third Street from the old Central Union Station and its occupancy plummeted when train traffic moved out to the new Union Terminal in the West End and Cincinnati’s business center migrated eastward along Fourth Street. Throughout June of 1933, a series of auctions disposed of the contents of the legendary hotel. The four-poster bed with pineapple finials in which Lillie Langtry slept sold for $55. There is no record of the infamous bathtub itself coming under the gavel.